Reason for Reading: I liked the sound of this book, not to mention the time period appealed to me. 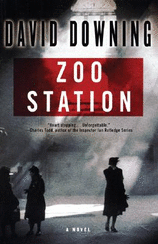 Comments: Set in 1939 Germany, Zoo Station is a novel of intrigue and suspense. Germany is in a powerful position, the threat of war is in the air and the rest of the world is waiting anxiously to see what direction Adolf Hitler will take the country next. The government has taken control of many facets of German life, controlling the media, dealing swiftly with those who might disagree or cause trouble for the Fuhrer’s plans, and persecuting the Jews and other people who do not fit into the acceptable norm established by the Nazi party. The atmosphere in Germany is tense. Journalist John Russell has been around the block. His goal at this point is to stay in Germany as long as he can in order to be close to his son and his German girlfriend. With Hitler’s regime tightening its hold on the media and information being allowed out of the country, John Russell must make a difficult decision. A former active communist, born to a British father and an American mother, Russell soon discovers that he is in a convenient position; convenient, that is, to the British and Soviet governments. Both sides know he has no love for the Hitler regime and understand his reasons for wanting to stay in Germany for as long as he can. Russell would make a great covert agent, a source of information. Needing to stay on the Nazi’s good side in order to stay in the country and keep his journalist accreditations while at the same time not being able to sit by without doing something to right the injustices he encounters, however, small, Russell finds the idea of being an informant very tempting. And it could prove useful for his own purposes. John Russell is a man of integrity. He walks a thin line throughout the novel, appeasing the Nazis so as not to compromise his position and risk losing his family. He worries that he is compromising his own values, but then would he have been in a position to help those he was able to reach out to? It’s a difficult dilemma. John Russell is an admirable character, flawed, and yet someone who the reader can easily cheer for. Author David Downing notes at the beginning of the book that he aimed for historical accuracy, and it comes through in his writing. He weaves history with the plot and characters seamlessly, whether it is the plot by the government to kill the mentally ill children or rid the country of its Jewish population, stripping them of their rights, forcing them to live in poverty, beating them, imprisoning them, and accusing them of false crimes in order to persecute them even further. The historical setting and true life situations only add to the suspense of the novel, creating an added tension to events as they unfold. Zoo Station is a powerful and compelling novel. Set in the pre-World War II era, readers are taken deep into the heart of Germany during a pivotal moment in history and are treated to an entertaining and yet thought provoking novel. Fortunately for readers, author David Downing has more in store for John Russell. Originally published on Curled Up With A Good Book at www.curledup.com. © Wendy Runyon, 2009. That was an excellent review, Wendy! I have two more slots to fill for my goal of 10 reads for the "War Through the Generations Challenge". I think I may put this book on there. (God forbid I should go over the 10!) I love this time period too...humanity is perched on the precipice of hell. They don't know it but we do. Scarey stuff. This one sounds tense! I'm going to keep it in mind as the WWII era interests me. Thanks for a great review! Great review. That pre-WWII period is interesting -- just how were things allowed to go so far? I'll have to put this one on my radar. Looks like you might get through a few challenges this year, off to a good start with this one. Wow, this sounds really good!!! Thanks for the review...you definitely sold me! This sounds really good. At first when I saw the title I was wondering if it was similar to The Zookeeper's Wife which I read in 2008, but after reading your review I see it is different. Thanks for posting and happy to see you enjoyed this one. This really sounds like a powerful novel. I've done some reading on WWII, but not a lot of it was about how things were in Germany itself, so I'm particularly interested in this. It does sound good. I am so happy we do not live in times like that. Great review! This is a new one for me - hadn't heard of it before I saw it on your blog. It sounds like an engrossing read. I'm going to put it on TBR wishlist. Great review Wendy. I've never heard of this one. So many good books are going to pop up with the War Challenge I think. I loved your review and looks like a good book for the challenge. I could never be a spy...I'd spill the beans!! Great review!! Sounds like this is going to be a series? Wonderful review Wendy. I don't usually read crime fiction but this does sound interesting. Hmm... Sounds kind of neat. I'm pretty picky about books set during this time though. Good review!!! This sounds really interesting! I love finding new books that I want to try out :) Great review! not to skip ahead, but I'm reading In The Woods by Tana French now and loooooving it! Great review! Glad to hear this is a good book, as the publisher will be sending me this book and the next in the series. I've never read a suspense novel set during this period, so I'm looking forward to it. I posted your review here on War Through the Generations. This sounds great, Wendy! You're tempting me to add yet another book to my reading list for the WWII challenge! Sandy - Thank you! It really was a scary time. When someone in the book would say it couldn't get any worse, I would shake my head and think to myself, "You have no idea!" I think this one would be good for the WWII Challenge. I hope you do get a chance to read it. I'd love the hear what you think. Joy - It was good. Definitely worth reading. Jenlair - Zoo Station was a bit different than other fiction I've read set in that particular time period. It was quite tense--the time period alone makes it so. Beth - Thank you. It really is an interesting time period. Alice - It really was a great book. Debi - I hope you do get a chance to read it. I would love to hear what you think of it. Nymeth - I was surprised at how much it did go into the situation in Germany pre-WWII. I expected it to be the usual suspense novel. I am glad the author went in the direction he did with it. Carrie K - Oh, so am I, Carrie, so am I. I can't even imagine what it must have been like for the people who did live through that. Myckyee - Thanks! I hadn't heard of this author before coming across the title either. It proved to be a good choice on my part. I do hope you get the chance to read it. Dar - Thank you! I think so too. Looking over the recommended books on the challenge website was enough to cause my wish list to grow. Melody - Thank you! I think you would like this one. There's already a second book out featuring the same protagonist. I hadn't realized that when I read Zoo Station, but I was relieved to discover that there was a sequel. The ending wasn't a cliff hanger, but the ending had that certain feel that comes with a character that just isn't ready to call it quits yet. Teddy - Thanks! It didn't really read much like a crime fiction novel, to be honest. That's probably not the best way to categorize it on my part. Jen - Thank you! It was an interesting premise. I'm glad I took a chance on it. Samantha - Thank you! I am really glad I decided to try David Downing's book. I look forward to reading more by him. BookWormz - I just got my copy of Likeness back from a friend I loaned it to. I hope to get to In the Woods next month. We'll see though. :-) I am glad to hear you are enjoying it! Anna - Thank you! I look forward to hearing your thoughts on Zoo Station and the sequel. I can't say I've ever read a suspense novel set in this time period either. I think it was well done--and for the most part realistic. Sandy - I meant to mention it above when I responded to your comment; check back tomorrow for my Happy Meme post. Thanks for the tag! I hope to catch up on my blog hopping this weekend. I haven't been able to get onto the computer much this week, I'm afraid. I just read this one a few months ago and liked it as well. For some reason I didn't find it very suspenseful, but I loved the history and the story regardless. Shelley - It wasn't a typical suspense/thriller novel, that's for sure. I think what I found most suspenseful was the time period and the anticipation of what was to come next in history. That's where the real tension was, I thought. I don't know if that makes sense. It's not quite the page turner that a Harlan Coben novel might be in terms of hold your breath intensity (as if I know, having only read one Harlan Coben novel--he's the first author who came to mind. LOL). Anyhow, I am glad you enjoyed the book too! I have the Mr. Linky updated. Thank you so much for letting me know! Thanks for this review, Wendy. This sounds like just my kind of book. Do you read Alan Furst's novels? If not you might like them: again all pre- and early WWII, about the people in small roles (a journalist who has been asked to help spy, a film director who may be drafted into doing propaganda). All character studies of interesting moral conflicts and VERY well done. I'm going to pick this up when I finish Linda L. Richards' "Death was in the Picture," which I highly recommend (second Kitty Pangbourn mystery, 1931 LA and a movie star is accused of murder). Boy, does that sound good! J. Kaye - Thanks, J. Kaye! Clea - I have not yet read anything by Alan Furst, but I believe I have a book waiting in the wings by him. Night Soldiers, I think the title is. I believe it's one of his older books. 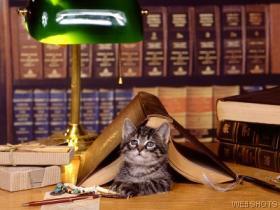 I am glad you recommend his books so highly. I will definitely have to move that one up in my TBR pile. Linda L. Richard's book does sound good. Not only does it sound like something I would like, but my husband as well. Kathy - It is a good one! This one sounds very good! I'm going to look for it at the library. I just finished spy novel I really enjoyed, "Deadly Exchange" by Geoffrey Gluckman. This is very much here and now, unlike 1938, with all kinds of high-tech elements. The author has really woven a great story with a good plot, great characters and great settings. I read too long at night, that's for sure. Liz - Deadly Exchange sounds good! I'll have to look for that one. Thanks for the recommendation. You're welcome! I always love getting recommendations from people and giving them in return.